Chicken is so versatile with so many ways to cook it. Here is one very simple and straightforward recipe, loved by many. I served it on a bed of flavored rice. I made a whole jar and stored it in the fridge. For 4/5 skewers I used about four heaped tbsp of this sauce. Mix the above sauce ingredients together in a bowl. If you prefer it to be a bit sweeter just add more honey. And if you like it a bit more runny add 2 tbsp of water. Thread cubed chicken pieces onto skewers. Place the sauce mix in a freezer zip-log bag. Put the chicken skewers inside and close bag. Leave to marinate for at least an hour, overnight even better. Then place in baking dish lined with baking paper which comes up the sides (less scrubbing later) and place under a grill. Turn and baste with the sauce till they are cooked. 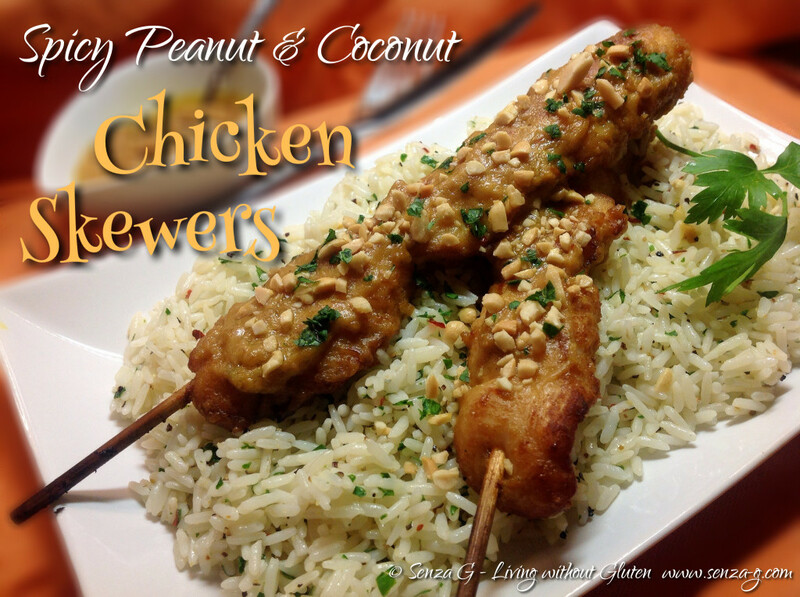 Serve with the rice and some chopped peanuts on top.